An Internationally Acclaimed, world touring 3 piece rock band from South Wales. Having appeared on 3 movie soundtracks, supported Top UK Chartting acts, played in such venues as the 100 Club and Purple Turtle in Camden. As well as a recent USA Tour. Their EP's are available on Play.com Tesco's website and Itunes. 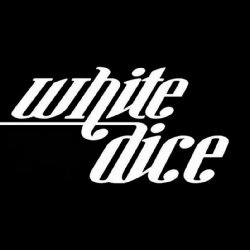 White Dice are a down to Earth band. Playing in local pubs and clubs as they expand their fanbase around the world.